Ozone - Selectkoi - Your online koi and pondspecialist ! With over 50 years of experience Erwin Sander Elektroapparatebau several series particularly reliable ozone generators in their program. 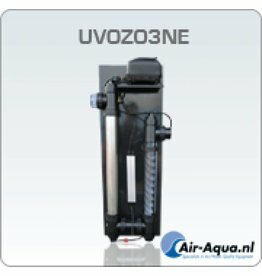 The Ozone Redox UVC has a special 75watt T5 UV-C lamp that both ozone and UV-C produces.